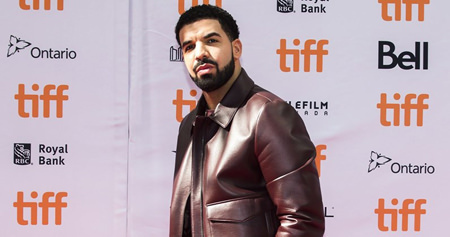 Drake’s God’s Plan is the UK’s Official Number 1 single for the seventh week in a row. The Canadian rapper holds onto pole position keeping Rudimental’s These Days featuring Jess Glynne, Macklemore and Dan Caplen as runner-up for a fifth week. The last track to spend five weeks at Number 2 was Ed Sheeran’s Galway Girl, which got stuck behind his own chart topper Shape Of You in early 2017. Dua Lipa’s IDGAF holds firm at Number 3, while Portugal. The Man’s Feel It Still rises two to Number 4. Marshmello & Anne-Marie keep it locked at Number 5 with FRIENDS. Following her performance at the Oscars, Keala Settle’s This Is Me flutters back up the Top 10 one place to Number 7, while Justin Timberlake and Chris Stapleton’s Say Something reaches a new peak of Number 9. There’s also a new peak for Mabel & Not3s following their Live Lounge rendition of the track on BBC Radio 1; Fine Line leaps three to Number 11. Two songs enter the Top 20 for the very first time this week. Zedd, Maren Morris and Grey are this week’s high climbers of 13 places with The Middle, up to Number 18, while George Ezra’s Paradise scales 11 positions to Number 19. Sigala & Paloma Faith also climb 11 rungs to Number 21 with Lullaby. US rapper XXXTentacion scores his highest charting single with Sad at Number 26, four slots ahead of the next highest new entry from Dave – Hangman becomes his third UK Top 40 single at Number 30. Bebe Rexha scoops her first chart hit as a lead artist with Meant To Be ft. Florida Georgia Line at Number 33, MoStack manages the same feat with What I Wanna, new at 38. Finally, taken from the soundtrack to upcoming movie Love, Simon, Khalid and Fifth Harmony’s Normani chart at Number 39 with Love Lies. This entry was posted on Saturday, March 10th, 2018 at 1:18 pm and is filed under Music News. You can follow any responses to this entry through the RSS 2.0 feed. Both comments and pings are currently closed.